DrayTek’s Vigor N65 is a USB WLAN adaptor that supports dual-band – 2.4GHz or 5.8GHz, and a data transfer rate up to 300Mbps using the MIMO technology. It is compatible with Windows 2000/XP/Vista and the latest Win7 operating system. 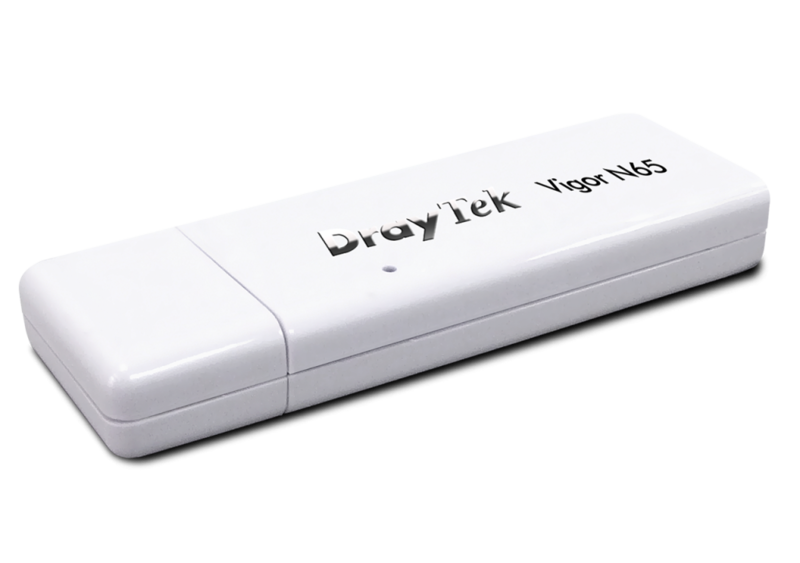 Consistent with the design objectives of DrayTek’s network solutions, Vigor N65 can be used as an accessory for DrayTek’s VigorAP800 to extend the dual band capability so the system can run on either 5.8GHz or 2.4GHz band. In addition, DrayTek’s highly integrated professional routers, including Vigor 2830n ADSL2+ series and Vigor 2850n VDSL2 series, support dual bands WLAN, and Vigor N65 is the ideal USB WLAN adaptor to work with these routers. For ADSL2+ broadband – Vigor 2830n or Vigor2830Vn, and one or more Vigor N65. 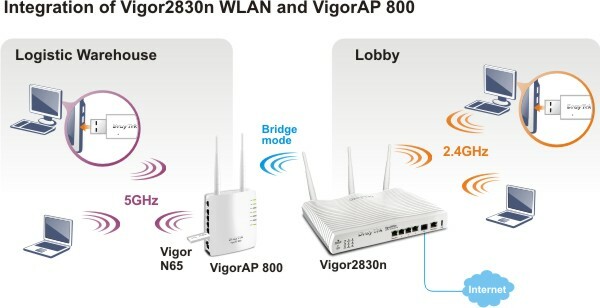 For VDSL2 broadband – Vigor 2850n or Vigor 2850Vn, and one or more Vigor N65. * Actual data throughput will vary according to the network conditions and environmental factors, including volume of network traffic, network overhead and building materials. * Environment conditions may adversely affect wireless operation distance.